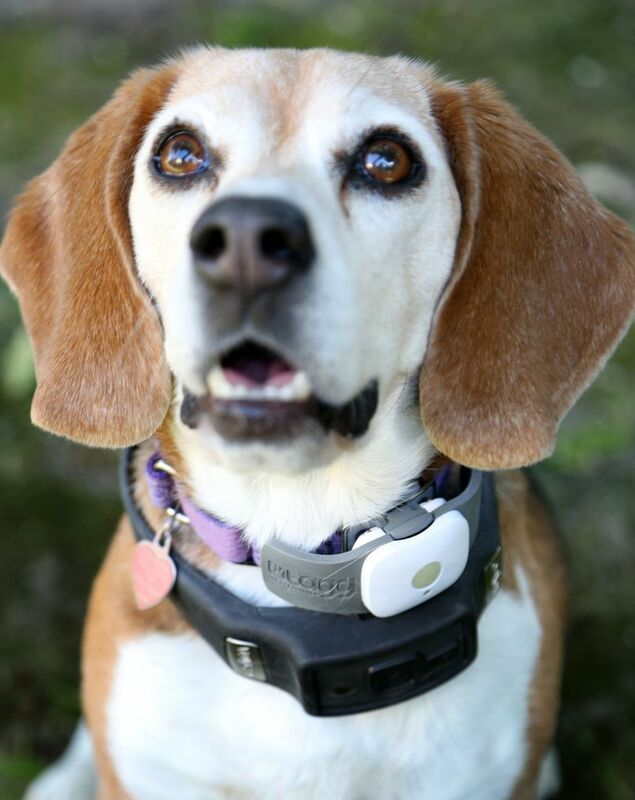 The columnist recently got his hands on the latest tracking and monitoring devices for canines and tested them out on his 10-year-old beagle. It’s practically raining cats and you-know-what in the burgeoning subcategory of tech gadgets and accessories that can be attached to our four-legged friends, usually for the owner’s peace of mind. Wearable tech for animals has been around for years: Decades ago, scientists began tracking endangered species with radio-tracking collars, and police and soldiers can attach devices to their dogs to receive commands electronically. More recently, the marketplace is awash with all kinds of cool tracking and monitoring devices for the canine set, typically in the form of a tech-laden collar that can be accessed through Web browsers and mobile smartphone apps. And there’s more on the way: one device still under development, No More Woof, is a headset that claims to be able to read your dog’s inner emotions by monitoring its brain signals. First up is Voyce, a $299 lightweight, waterproof and Jetsons-worthy collar that uses Wi-Fi to monitor the heck out of your pet’s health, serving up all kinds of diagnostics to help you and your vet take care of Fido. Voyce even sends you articles by renowned animal experts. The band comes in a smartly assembled package. After giving it a quick charge through a base connected by a USB cord, I attach the band to Lucy’s neck and set up an online account. As I fill in Lucy’s profile, I’m asked about her physical condition, from a skinny state with bony ribs “evident from a distance” to “massive fat deposits.” I give Lucy a middle-of-the-road score of 5. Directions are simple and the tutorial video helped me in just a few minutes to get the device up and running. I wish I could say the same thing about Lucy, a pint-size hound who’s far more prone to mope around or sit out in the sun for hours. I left the house for an hour and when I came back to check the website, I found basically a flat line on the graph indicating, well, rest. In other words, Voyce had confirmed what I’d instinctively known all along: My dog’s a spoiled and lazy little beast. Next was Tagg, an adorable little band the size of a wristwatch that attaches to your dog’s collar and basically keeps track of his whereabouts through GPS and satellite technology. Thanks to its geofencing feature, Tagg acts like a digital pet-sitter you can monitor through your smartphone app and Web-based browser. On the home page, a map of my neighborhood comes up and I’m instructed to create a Tagg Zone within which Lucy is supposed to remain, as in “Stay, Lucy!” In the middle of this square covering my house and neighbors on each side is a golden paw, signifying Lucy’s location. Lucy and her camera did good.